With an attempt of matching up to the cut-throat pricing by Jio and its follow-up by Airtel, Idea Cellular has announced new prepaid combo plans for its users. These new plans priced at ₹697, ₹897, and ₹1,197 offer data and calling benefits for a long period of 70 days. For a recharge of ₹697, users get the benefit of 1.5GB 4G data per day paired with unlimited calling and 100 SMSes per day. Cumulatively, the data benefits that users get from this plan add up to 105GB. The cost of the prepaid pack comes down to ₹279 for 28 days. In comparison, Jio offers the same benefits for 70 days for only ₹349. Meanwhile, both Vodafone and Airtel offer 1.4GB daily data with calling benefits for 28 days at a price of ₹199 but there are plans with similar benefits with a validity of 70 days. With this combo recharge, Idea 4G users will get 2GB data per day for a duration of 70 days. With this pack too, Idea offers unlimited calling and 100 SMSes per day. Comparatively, you get the same benefits and validity from Jio for ₹398. Users recharging with the ₹1,197 prepaid plan receive the benefits of 2.5GB 4G data per day coupled with unlimited calling and 100 SMSes per day. Just like other plans, this one is also valid for a period of 70 days. 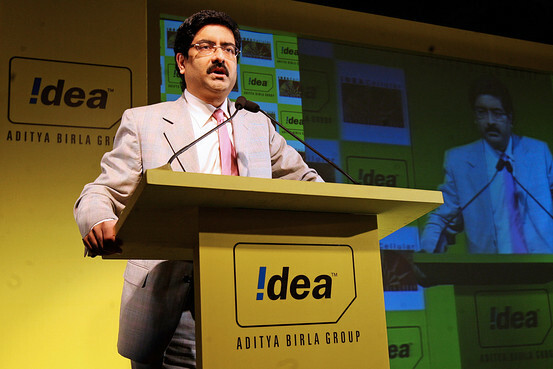 Idea, unlike other operators, has not yet lifted the daily and weekly caps on calling which is limited to 250 minutes per day and 1,000 minutes per week. Moreover, you can only call 100 unique numbers per week, after which calls are charged at 1p/sec. Since Idea’s 4G is only available in ten circles, namely Andhra Pradesh, Haryana, Karnataka, Kerala, Madhya Pradesh & Chattisgarh, Orissa, Tamil Nadu, Gujarat, Punjab, and UP (West). Recharging with the ₹697, ₹897, and ₹1,197 plans in circles other than the ones listed above, users will only get 6GB, 15GB, and 30GB for the entire validity period.